The giant white columns and beautiful brick are definitely stunning and in surprisingly good shape given the home was built in 1924. 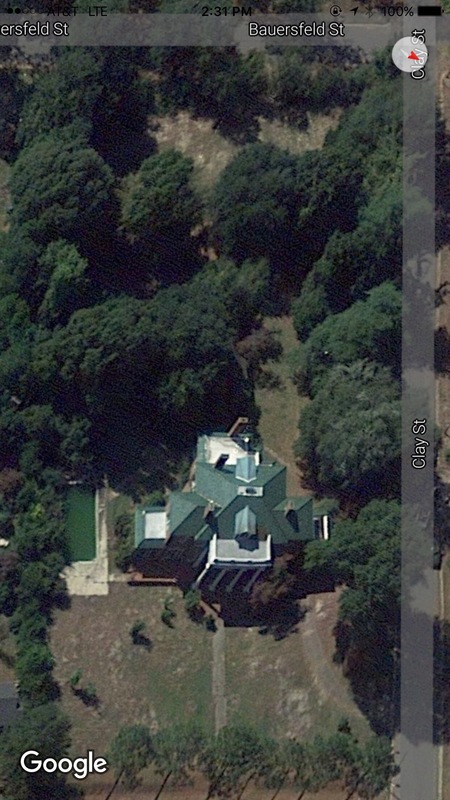 Even more impressive though is the gorgeous green roof, which to our knowledge, has never had any major work done to it! 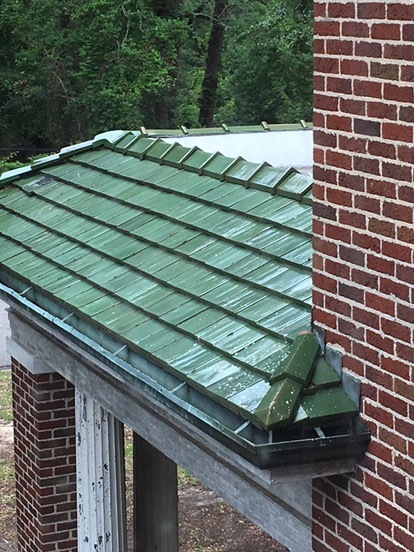 Those gorgeous shiny green tiles are Ludowici clay, pretty much the finest roofing you can get! 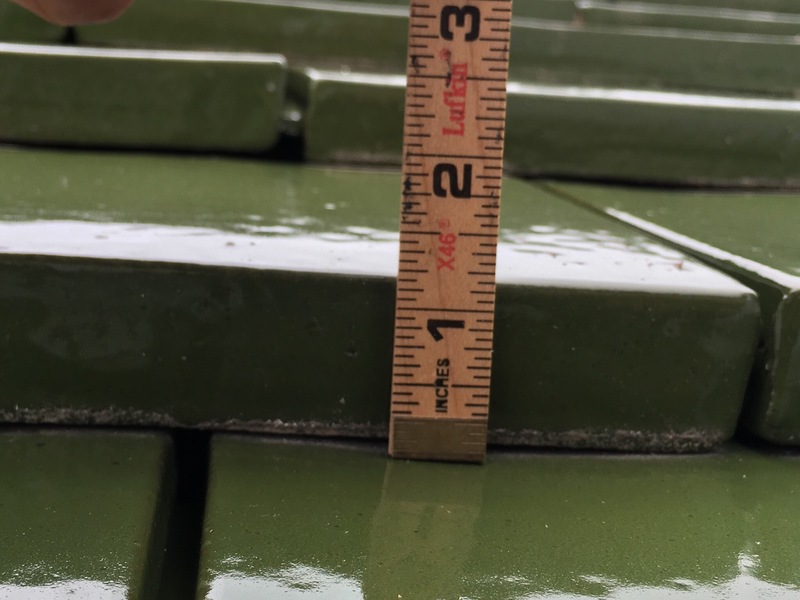 The Ludowici company has been around since 1888 and has provided tile for many notable buildings including the White House Promenade, the Frank Lloyd-Wright House in Chicago, Department of Justice and a couple buildings at Duke University. 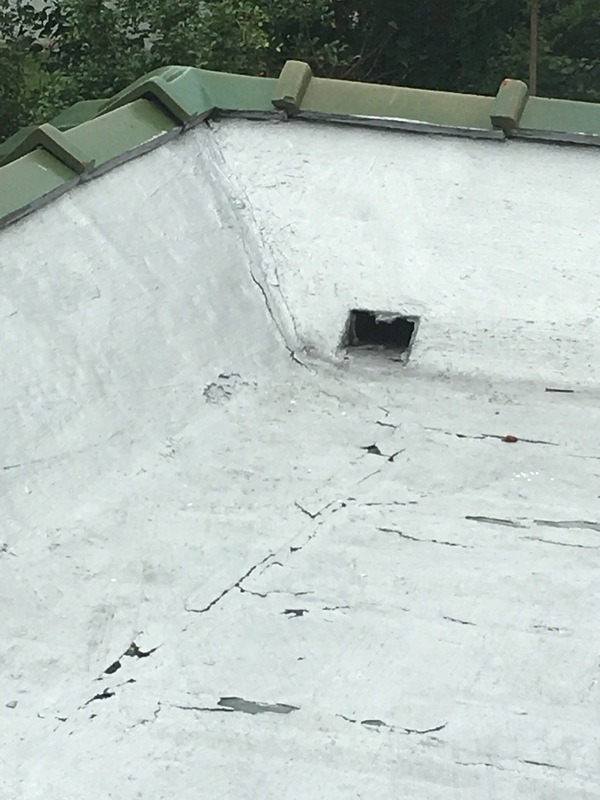 The tiles are in near perfect condition, with only a few handful having cracks. The plan is to take off all the tiles, lay new felt, and put them back on. Easier said than done and much more expensive than you would think since we are reusing the same tile, but we are set on keeping the house as original as possible! The flat roofs are a different story though. These have been replaced and the drainage redone over the years but they need a complete redo to stop the leaking. The plan for these is copper!! We have had 8 different roofing contractors come out to look and give a quote for the work. Some have flat out told us no, they don’t even want to attempt it and others have submitted quotes that we could never afford. Still looking for that perfect one that is willing to take on such an amazing and difficult project at a price we can manage. Such a grand old home! I can’t wait until she is ready! Next Post It’s Been a Long Time. Wow it has been a while since I checked out the website. You guys are going great guns. I love the playroom! I am so glad that you are getting lots of local support. Keep up the super good work.